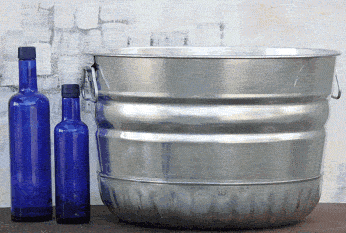 Steel Bushel Tub is a wonderful way to keep your fresh cut wood neat and tidy next to your fireplace or grill. 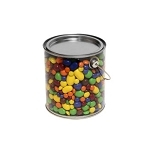 This heavy duty tub offers several display options and is great for every day uses. It is recommended you only use for dry storage. 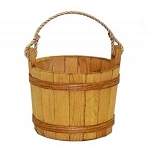 Add a little style to your country cabin charm and buy yours today. 11 1/2"H x 17 1/2" Top Dia.